On this day of national giving – nestled amidst the excitement of cyber – Monday and holiday celebrations – we invite you to pause and contemplate the good you can do right now to strengthen healthcare in the United States! Now that so many Americans are seeking to manage rising healthcare costs and improve their overall well-being by integrating holistic medicines and practices into their lifestyle, the opportunity to foster the growth of Ayurveda in the U.S. has never been greater. Help us forward our work and help to create broader and more natural healthcare options for American citizens while establishing this ancient healthcare system to its rightful place in the market through accreditation. Why is accreditation important for the Ayurvedic profession? NAMA benefits its members in many ways. One major advantage is the availability of member discounts from a variety of Ayurvedic shops, schools, and service providers. To find a current list of those discounts in the MEMBER CENTER section of the website, go to DISCOUNT PROVIDERS. From the DISCOUNT PROVIDERS page, you can access the various providers and link to their discount codes after logging into your NAMA account. Those currently offering discounts to NAMA members are listed alphabetically by category below. Banyan Botanicals is a great resource for Ayurvedic herbs, oils, and formulas. Banyan’s mission is to provide the highest quality Ayurvedic herbs and products to Ayurvedic practitioners. Receive a 20% discount on online retail orders at www.banyanbotanicals.com/. Charak began with a vision to improve the quality of life by making herbal health care available internationally. NAMA members receive a 40% discount on the manufacturer’s suggested retail price for all Innoveda herbal supplements. Free shipping included on all orders above $100 USD. Go to charak.com/. The SOMA Specialized Ayurvedic Massage Table provides the versatility of the traditional drohni, with the comfort and portability of a modern massage table. Made with oil-resistant material and specialized features for Ayurvedic treatments, this table accommodates most traditional Ayurvedic therapies. NAMA members receive $40 off a table. Learn more at: www.ayurvedicmassagetable.com. Sumitra Remedies is a family company with a mission to bring amazing, unique, and high quality herbal supplements to market and to generate awareness of the science of Ayurveda in the U.S. NAMA members receive a 20% discount at www.vedicjuices.com/. Receive 20% off VPK by Maharishi Ayurveda’s retail prices. To take advantage of this offer, call or email MAPI customer service. You will be asked to provide a copy of your membership card. Phone: (877) 767-7444, ext. 214, hp@mapi.com. Go to www.mapi.com/. YogSadhna by Indu Arora offers a wide variety of authentic traditional and powerful yoga and Ayurvedic products: from Yogi's Glow, Chakra/Dosha balancing bracelets, 108 Bead JapaMalas, and copper Neti pots to yoga and Ayurveda books. NAMA members receive a 10% discount. Go to www.yogsadhna.com/. The Ayurvedic Institute’s store offers a complete range of Ayurveda lifestyle products. Receive a 10% discount on products from the store and 20% discount on webinars with Dr. Lad. This discount does not include weekend seminars and summer intensives. Codes cannot be combined with other discounts. Visit www.ayurveda.com/, call (800) 863-7721, or visit on site. 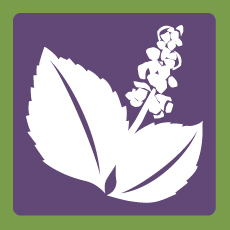 ChayaVeda™ Integrative Healing Arts, located in Gainesville, Florida, is dedicated to transformative health education and wellness services. CEU programs in Ayurvedic massage, Ayurvedic yoga therapy, panchakarma, and health retreats are available. A 5% discount is available for NAMA members. Go to chayaveda.com/. Purusha Ayurveda, located in Malinalco, Mexico, offers a $150 savings on all 2018 panchakarma programs. Adhering to genuine practices of Ayurveda, Purusha provides customized panchakarma programs based on the unique constitution, condition, and environment of each client. We intend to restore your sense of well-being, leaving you stronger, grounded, with a renewed vigor for life. Go to www.purushaayurveda.com. Nestled in North Carolina’s Blue Ridge Mountains, The Art of Living Retreat Center and Shankara Ayurveda Spa offer immersive wellness experiences inspired by authentic traditions of yoga and Ayurveda, including signature workshops in breath and meditation and ancient techniques of panchakarma. NAMA members receive a $200 savings on a 2018 eight-night panchakarma program. Go to artoflivingretreatcenter.org/. Alternative Balance provides member discounts on liability insurance and business tools to health, beauty and wellness professionals. They insure over 500 types of industries. NAMA professional members receive $20 off their annual premium. Alternative Balance offers a full-time premium for $249 or a part-time premium for $219. Go to www.alternativebalance.net. Subscribe to the print version for $28 (12.5% off the regular subscription rate) or the electronic version for $14 (30% off). Go to ajh-journal.com/. You can check out the quality of their content by clicking on the PUBLICATIONS link to view the AJH table of contents from past issues. Do you have a business you would like to promote by offering discounts to NAMA members? NAMA professional members and organizational members are given the opportunity to offer discounts to their fellow NAMA members. Contact Jolynne, NAMA’s Membership Manager at Jolynne@ayurvedanama.org. Below you will find Hilary Garivaltis story: it offers a window into how Ayurveda has changed her life and how having access to Ayurvedic medicine across the nation can help many. When you support NAMA, you help build a community of practitioners who can provide this service and help people like Hilary get a real chance to heal. I was a typical working American, a 40-year-old mother of three running three businesses with my husband. After years of this demanding lifestyle, my health started heading in the wrong direction. I was fatigued, my body felt out of balance, and my periods were irregular and horrendous. When my menses did occur (3-4 times a year), all my joints ached so much that I could barely get up and get moving in the mornings. I was exhausted, all over the place, and unhappy. All of these things began to affect my relationships and my capacity to cope as a young mother. I had been a meditator but somehow had fallen out of the habit until my best friend reminded me of its value and suggested that maybe it would help. As I was striving to renew my practice, I found a book on Ayurveda—it changed my life! Just reading the book inspired me and helped me see that I could change the trajectory I was on. I soon found myself studying and practicing Ayurveda. Within the year, I received pañcakarma and, as I continued all my practices, eliminated all my symptoms. I had my first normal periods on a regular cycle for the first time in my life; my joints were all healed; my energy was back; and my emotions stabilized. I was happy and enthusiastic again! I not only became dedicated to Ayurveda for myself and family, but also began hoping to find a way to share it with others. Eager to extend this life-changing experience to a broader group of people, I was lucky to fall into a relationship with Kripalu Center for Yoga and Health, where, in 2004, I helped launch an Ayurvedic school and other programs on Ayurveda for their 30,000 guests. I became a board member of NAMA to help create an even broader base for Ayurveda in the United States. I’ve seen Ayurveda change not only my life, but also the lives of so many others. My story is not unique, but it should be shared so others can find health and balance in their lives. This is why it is so important for us all to help support the incredible work that NAMA is doing to advance the profession and to ensure Ayurveda gets the recognition and exposure it truly deserves. Please support NAMA’s Accreditation initiative as a step toward the goal of access to Ayurveda for all in the United States. We are poised to make this happen but need your help. This is a special day in Ayurveda celebrating the birthday of the “Lord of Ayurveda” - Dhanvantari. We have chosen this day to launch our very first fundraising campaign for the NAMA Accreditation Council and the future of Ayurveda. We have recognized that fundraising campaigns like this are a necessary requirement for nonprofits. Without the generosity of donors, we’ll be unable to offer timely support for the growth of happy and healthy communities through wider access to Ayurvedic professionals who can respond to the acute need for alternative healthcare solutions in the United States. Celebrate Dhanvantari Day By Donating! Each year our board, committee, staff, and volunteers work diligently to bring an annual event that delivers an abundance of valuable tools and education to NAMA members and the community at large. Last year’s event was a significant achievement, with the highest number of attendees to date. Join us in 2019 for an event brimming with educational experiences and community spirit in a retreat-like setting among the redwoods. 1440 Multiversity is a 75-acre campus with redwood trails, copper-adorned buildings with majestic views and decks built around sky-high trunks keep you wrapped in nature during your stay. Part wellness resort, part Ted-talk auditorium, part conference center, the campus features state-of-the-art classrooms, meeting spaces, and accommodations tucked away in a lush forest between Santa Cruz and Silicon Valley. With locally sourced meals, holistic-health classes, Fitness Center, infinity-edge hot tub, and more, your stay at 1440 is designed to nurture, educate, and inspire. Hosting our conference at a location like 1440 is new to us! We are excited to offer our attendees with an experience like no other. Because 1440 is an all-inclusive retreat setting, all meals are included in the nightly or daily fee that 1440 charges. Our conference tickets only include the conference presentations, discussions and events. 1440 offers a variety of accessible accommodations, ranging from suites to shared dorms. See their all-inclusive NAMA group accommodations options here. If you happen to call 1440 please be sure to mention you are with the NAMA conference. *All day pass and commuter pass registrations will be open to purchase April 1st, 2019. We have decided to discontinue the use of the PACE Provider Badge because viewers could misinterpret it as an indication that every course a PACE Provider offers is PACE approved, which often is not the case. A newly created identifier, the PACE Approved Listing Badge, will be issued to PACE Providers to replace their PACE Provider Badge. The new badge is solely for use with Providers’ PACE Approved Listings on their websites and marketing materials. The PACE Approved Listing Badge will help NAMA Professional Members and the public identify which listings are PACE approved. Starting October 1, 2018, there will be a $50 PACE listing application fee for each listing submission. The PACE program is growing, and NAMA has chosen to devote more attention and resources to this arm of the organization’s work. We have created a dedicated position and a subcommittee to help improve the visibility and searchability of your PACE Approved Listings, communicate these wonderful options more clearly, and help target the needs of the professional community. Build Your Practice with a Powerful Online Presence! NAMA wants to see your practice flourish—and NAMA's professional directory is just one way we can help you do that. Your listing in NAMA's online professional directory serves as free marketing for your practice. This public professional directory gives you an opportunity to appear in searches by anyone who is looking for an Ayurvedic provider. Published by the largest Ayurvedic professional organization in the United States, the NAMA professional directory is a well-known resource that empowers you to not only maximize your visibility and attract clients but also connect with potential business partners and with other NAMA members who can help you build a community in your area. So how do you build a distinctive and appealing online listing? First, keep the needs and desires of your audience uppermost in your mind: Provide a short introduction or bio that describes your services and your areas of expertise. As a purveyor of healing, you need to present yourself as not only a credible professional, but also a warm and caring person whom clients will be eager to invite into their lives. Make sure your sentences are short and simple and get right to the point. Remember that readers have to sort through numerous listings and may become frustrated with those that overburden them with long, wordy paragraphs and too much information. Include links to your website, testimonials, and social media pages to make it easy for readers to learn more about you. You may also want to mention any community service and volunteer work that you do. Evidence of your commitment to your community and the people who live there will resonate with local clients and with people who value a sense of social responsibility. Don’t forget to include your picture. Choose one that captures you as you are in the current moment. We have all heard the saying, “a picture is worth a thousand words”— a photo can capture your essence more effectively than words on a page and goes a long way towards personalizing your listing. Finally, ask a neutral party to review your listing. Choose someone outside the Ayurvedic profession who knows you and understands your value and who will provide honest feedback. To access and update your listing, log in to your member profile here. Have Your Registered Yet to Become a 2019 Conference Sponsor or Exhibitor? We are all buzzing with excitement about our upcoming event at 1440 Multiversity. We feel it’s a perfect match for this year’s topic, Ayurveda and the Mind. The retreat-like setting promises to provide an experience like no other, not only for our attendees but also for our sponsors and exhibitors. Each year our board, committee, staff, and volunteers work diligently to bring an annual event that delivers an abundance of valuable tools and education to NAMA members and the community at large. Last year’s event was a significant achievement, with the highest number of attendees to date. At this time, we invite you to join us as a sponsor or exhibitor at an event brimming with educational experiences and community spirit in a retreat-like setting among the redwoods. We have options to assist you in finding the right level for your budget and business goals. Keep in mind that space fills up quickly, so register soon! We want to thank all that participated in our Board election this year and are so happy to welcome back two current Board members – Wynn Werner and Margrit Mikulis for another three-year cycle and welcome our two newest Board members – Arun Deva and Monica Groover to the team. The new board members officially start on November 1, 2018. We also want to thank Suhas Kshirsagar for his service to NAMA as a Board member, committee member and an overall supporter of our work. Suhas will be finishing his term on our board as of October 31st. We wish him the absolute best in all his work and endeavors moving forward. We are finalizing our list of presenters for the 2019 conference by early September and are very excited about how things are shaping up. We want to let you all know that we have a robust pre-conference day with four three hour practicums worth 5 PACE credits each. We will be getting all the details up on the website by the end of September and before our October Early Bird rates begin. STAY POSTED and check your emails and website regularly. The slate for NAMA's 2018 Board of Directors election has nine candidates and just four openings. Cast your vote today! Voting ends Tuesday, July 31, 2018, at 6:00 pm Pacific.